A family crest is an important piece of your family. 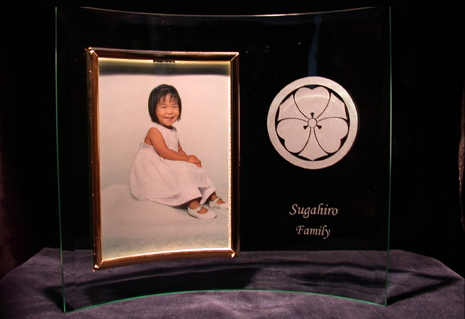 At Studio Engravers, based in Southern California, we believe that your Japanese family crest should be proudly displayed, so we offer a full range of Japanese family crest gifts that are designed to showcase your unique crest. Each item below includes engraving services of one family crest in the Kamon or European style, or one family name in Chinese of Japanese characters. 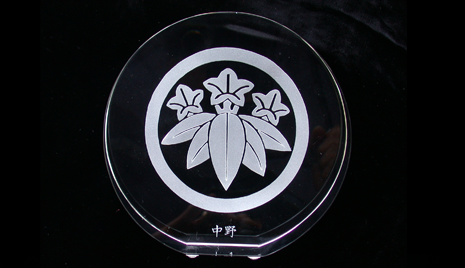 Octavia is our most popular Japanese family crest engraving piece. This stately, formal optic crystal showpiece, framed with wide gem-cut facets, will add elegance to anyone's home or office. It is the ultimate family gift for someone special and makes a beautiful heirloom that is perfect for handing down to the next generation. Studio Engravers started with this piece 25 years ago and to this day remains the #1 customer's choice to showcase their Kamon. This will be one of the best purchases you will make in your life. Click on any of the SHOP NOW links to view our wide selection of Kamon gifts. Eclipse is made with clear optic crystal, and it features with a clean, contemporary design to showcase your Japanese family crest. 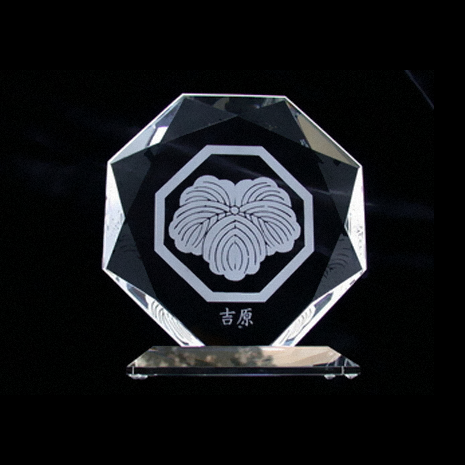 Its circular form holds the traditional Kamon family-crest shape nicely. This modern crystal piece comes to you packaged in a thick, velvet-lined box. Click on the SHOW NOW button to see more unique items. Display your Japanese family crest with your family name in this self-standing piece that is finished with wide beveled edges. Our curved glass photo frame beautifully holds a 5" x 7" vertical photo and boarders it with a delicate gold frame. This item makes the perfect gift for weddings, anniversaries, family reunions, and special birthdays. It also is the perfect Kamon heirloom. Click on any SHOW NOW links to see more! 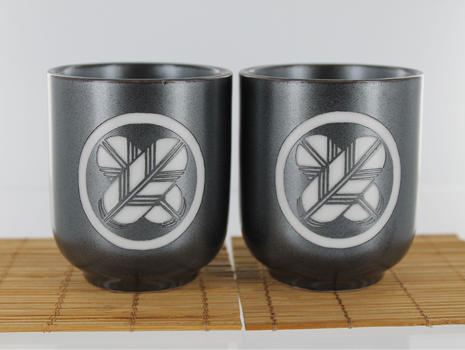 Give a practical, yet meaningful gift this year by engraving someone's Japanese family crest onto a stunning coffee mug. Our classic glass coffee mugs are designed to hold plenty of liquid, and they feature thick walls to keep your drink warm or cold longer. It feels sturdy in your hands and is sure to last for years to come. It is also microwavable and dishwasher safe. This item is perfect for hot and cold beverages. Personalize them with your family Kamon as gifts for family members. Click on any SHOW NOW links to see more! Celebrate your family heritage while enjoying a frosty beverage. This perfectly engraved glass mug holds 15 fl.oz. of your favorite cold drink. It is a popular present for groomsmen and birthdays. Personalize it with a Japanese family crest as a unique keepsake. This item is made with thick walls and with a handsome scalloped design on base. Our sports mugs are always made in the USA. Click on the SHOW NOW links to view more Kamon gifts. Our crystal fan is a beautiful, Asian-inspired showpiece that captures the essence of the Oriental culture. The fan shape cradles the Kamon perfectly for all to admire. 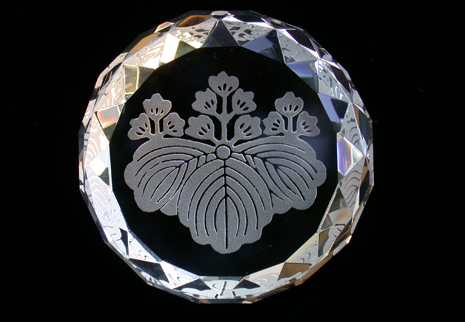 Made with optic crystal and featuring a contemporary design, this is absolutely stunning when displayed with a Japanese family crest in a home or office. It is something that you will be happy to pass on to future generations. CLICK ON THE SHOP NOW links to view more unique items. Diamond-cut beveled edges give this optic crystal paperweight its sparkling beauty. The facets draw light and enhance the deeply engraved Kamon. 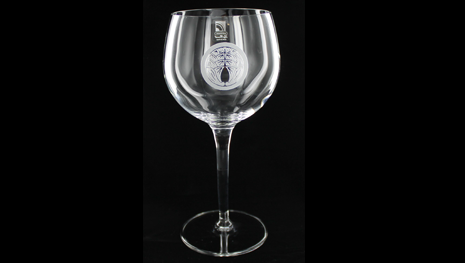 It is an elegant and impressive possession and makes a stunning gift when engraved with a Japanese family crest. CLICK on the SHOW NOW links to view more unique gifts. 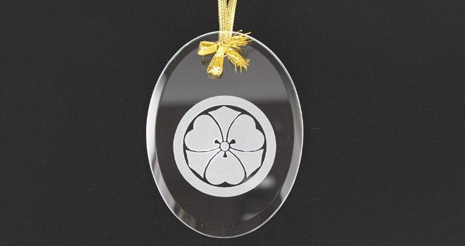 Proudly display your mother's and father's Japanese family crest during the holidays. This will be the most important ornament displayed on your family Christmas tree year after year. Our oval ornament makes an excellent Christmas gift for family members and relatives. It features oval-shaped glass finished with beveled edges, and it includes a ribbon for hanging on the Christmas tree. 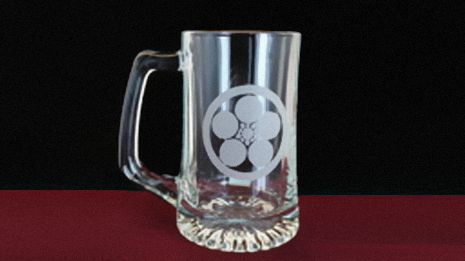 The oval shape frames the Kamon perfectly. CLICK on the SHOW NOW link to see more items! 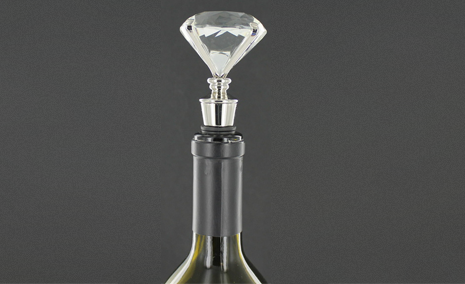 This optic crystal bottle stopper is cut like a true gemstone. It is encased with 4 prongs on a stainless steel stopper and features a ribbed gasket. CLICK on the SHOP NOW links to see more fun gift ideas! 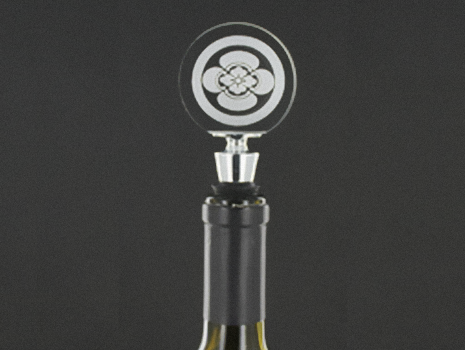 Proudly display your unique Japanese family crest on your favorite bottle of wine. Our round bottle stopper makes a great hostess gift, holiday gift, or family token for relatives. It is a must have for the wine connoisseur. It is made with high-quality optic crystal, stainless steel hardware, and a ribbed gasket. This item is packaged in a satin lined box, and it is one of our favorites! Please note that the wine bottle in the image is not included. CLICK ON THE SHOP NOW links to view our unique selections of gifts. Our tea cup set is our best seller! This pair of Japanese-crafted porcelain tea cups is the perfect gift. It has a handsome, smoky gray sheen that really pops against the white engraving. The cups are dishwasher and microwave safe, and are tempered for both hot and cold beverages. They are made in Japan and are the traditional size widely used throughout Japan. (Bamboo mats not included). CLICK on any of the SHOW NOW links to see more! Each Cup Holds 8 Fl. Oz. Sip your favorite wine from this charming, Italian-crafted crystal glass. It is thin walled, which allows for maximum flavor of your favorite elixir. As a gift, this item is tasteful and refined. This product is lead-free, and we recommend handwashing it. CLICK on the SHOP NOW links to see more! At Max Capacity, Glass Holds 12 Fl. Oz. This elegant, lustrous gold charger frames your family crest the way it should be presented. Displayed in a home or office, it's sure to bring family pride and remind everyone of your rich heritage. Our golden charger is 13" in diameter. Made with high-quality European glass, it is crafted in Poland and Turkey. This item is a favorite among our customers, and includes a golden stand. CLICK on the SHOP NOW link to view more gift ideas!